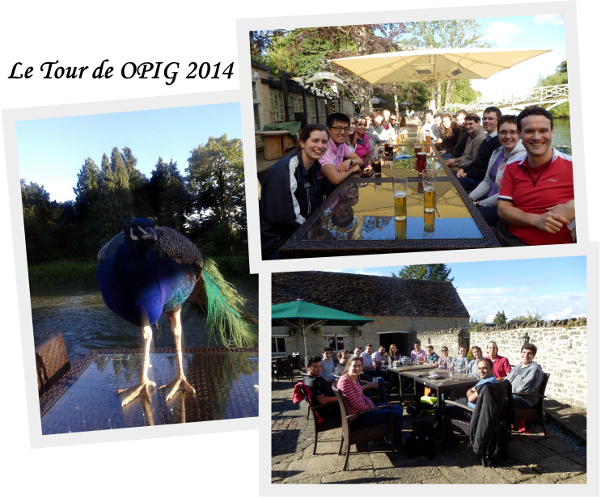 Le Tour d'OPIG is our annual bike ride through Oxford's wonderful scenery and even more wonderful drinking establishments. 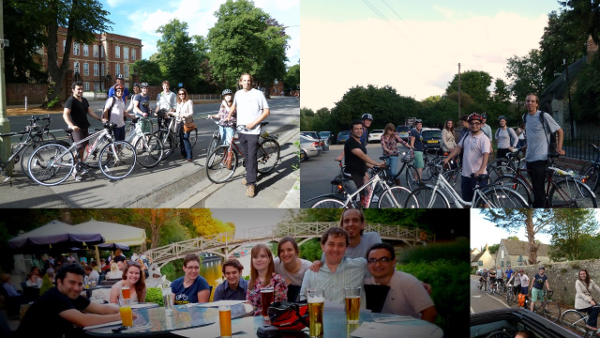 From the Medawar building, we have ventured out to pubs including The Fishes, The Trout, The King's Arms in Sandford and The Prince of Wales. Routes are devised so that minimal major roads and right turns are necessary (see below) - DPhil students are bothersome to replace we're told. In terms of milage, in 2013 we covered 9.5 miles; so presuming an intact of 1 ppp (pint per pub), gives a very respectable 12.7 mpg (an Aston Martin DB9 only gets 13.1 mpg).